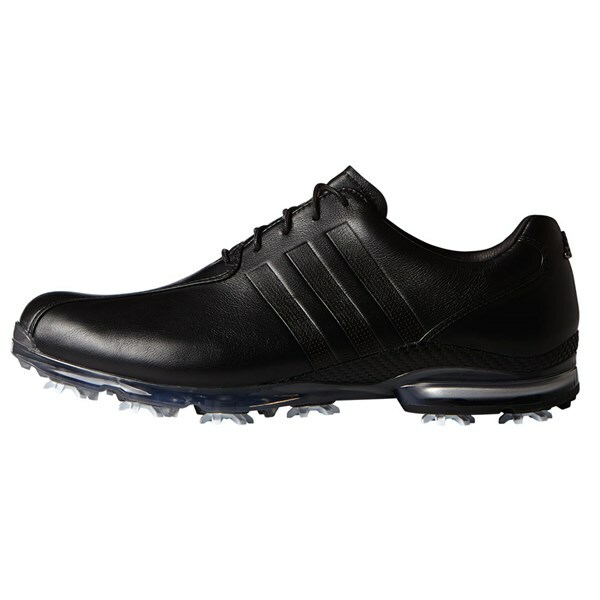 The adidas Adipure TP golf shoes by adidas are very classically styled with modern technologies that will increase the overall performance and comfort of the shoe. 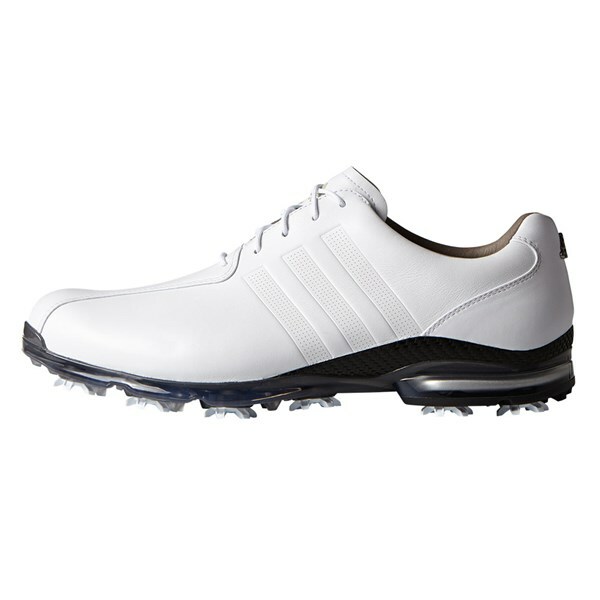 adidas have used their climaproof waterproof technology to provide total protection from the elements as well as add breathability to the shoe so you can use and wear it comfortably all year round. A combination of ThinSof, GTS (Glassfibre Torsion System), climaproof, fitfoam, thintech, puremotion and Stealth cleat technologies combine in this premium shoe to create this outstanding performer. ThinSof - Is a premium thin leather upper that will provide the sleek appearance, durability and performance enhancing comfort. 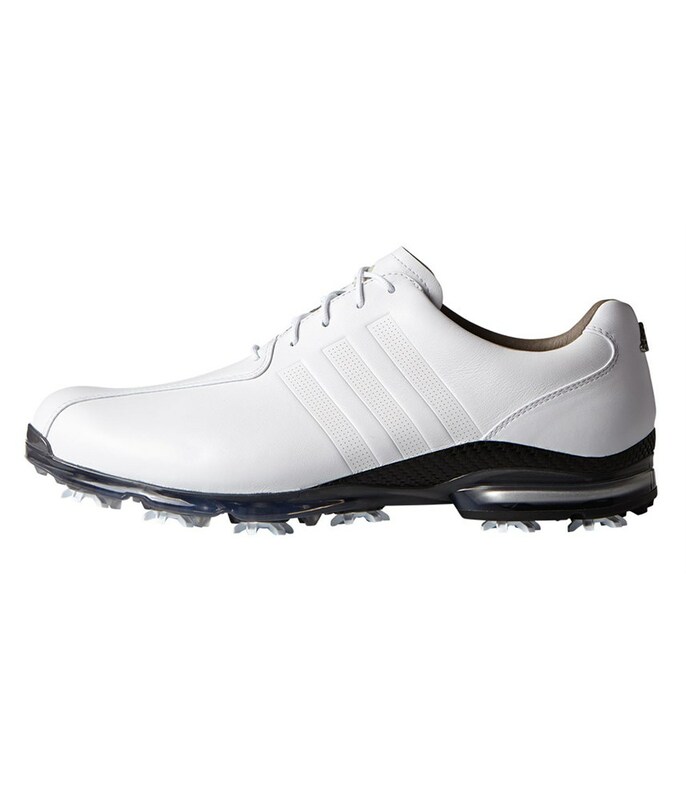 GTS - A strategically positioned torsion technology provides an exceptional stable base that help add support to the shoe for increased control. climaproof - Provides total weather protection, this dual layer technology will protect your feet however bad the weather or underfoot conditions get. The first layer of climaproof will wick away any unwanted moisture for increased comfort. fitfoam - Has been made from a premium lightweight soft PU that will mould to the contours of your sole for a customised fit and feel. thintech - Helps keep you closer to the ground for better traction. This low-profile design is also anti-clogging and green friendly. puremotion - This outsole technology will allow different parts of the foot to move independently with increased flexibility and comfort as well as improved traction. Stealth Cleat - This low profile cleat system will give you greater surface area contact for improved traction and stability while walking and swinging the club.